I geek out as much as the next guy when it comes to lenses, so you could imagine my excitement when a set of Sigma FF High Speed Cine Primes rolled through our doors recently. I had heard very little about these lenses before seeing them in person and couldn’t wait to see what they could do. After my initial testing, I have to say they do not disappoint. 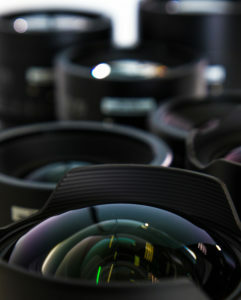 This line of lenses is Sigma’s jump into the cinema world and it seems as though they have landed firmly on both feet. The full set includes focal lengths of 20, 24, 35, 50 and 85 at a T1.5 and a 14 and 135 at a T2.0. At first glance, the lenses cosmetically look and feel a lot like ARRI Ultra Primes, dense but still compact. From one lens to the next, the Sigma Cine Primes are expertly constructed with silky smooth iris and focus rings, clear and precise markings and an electronic EF mount to transmit lens data to your camera. Although this set can be swapped out to PL mount, our set currently comes in EF only. Sigma really went all the way in on these lenses to make them look and feel like true high quality cinema glass. Iris markings are all evenly spaced and focus scales span nearly a 300 degree rotation. Focus pulls feel great with not too much resistance and just enough dampening for smooth starts and stops. 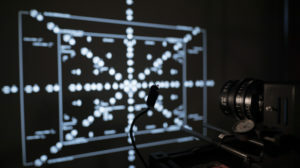 If using a wireless FF on set, you will never have to move your motors around, as the distance between iris and focus gears never changes between lenses. This might seem like a small thing, but for AC’s it makes all the difference. Getting past the outer build quality and onto the optics, this is where things get even better. Full frame lenses in the cinema world are becoming more and more present as our camera’s sensors have been changing. With films being shot on cameras like the 5D MK4 and a7S2 all the way up to the RED Weapon 8K, these types of lenses are becoming necessary. Having all of the qualities that one would hope for in a great cinema lens, this set performs extremely well. Very little lens breathing, check. Smooth focus fall off, check. Razor sharp at all stops, check. Good close focus, check. Pleasing bokeh, check. No noticeable chromatic aberration, check. With the exception of the two widest lenses, this set has almost no distortion and is tack sharp from corner to corner. The list goes on and on. For the price that these lenses go for, I would confidently call these the frontrunners. If my stamp of approval means anything, these lenses certainly have it. Interested in renting the Sigma’s? Contact rentals@rule.com or 800-rule-com. 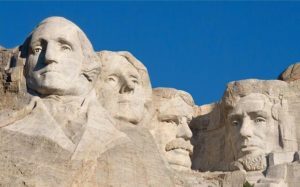 We’ll be closed today for President’s Day. Emergency? Call the main number at 617-277-2200 or 800-rule-com.